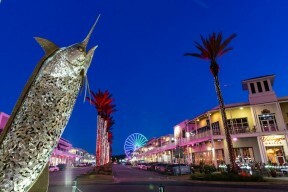 If you're looking to get off the beaten path of Alabama's Gulf Coast beaches, Gulf Shores and Orange Beach have several interesting attractions and points of interest for the sightseeing vacationer. Between the dolphin cruises, the giant Ferris wheel and the trampolines, it’s impossible not to relax and have fun in Gulf Shores and Orange Beach. Imagine seeing your kid’s face light up with joy when they interact with the more than 500 animals at the Alabama Gulf Coast Zoo. 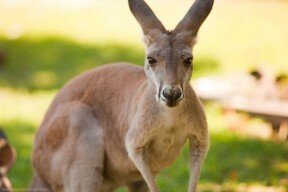 And their streaks of excitement when they hold a baby kangaroo, sloth or lemur during an animal encounter. Or perfect your family’s sand castle building skills by taking a class at Sand Castle University. For kiddie rides, bumper cars and boats, go-karts, miniature golf and more, take your children to The Track Recreation Center. For some tumbling and bouncing action, visit The Factory in Gulf Shores. You’ll also find batting cages, foam pits, trampoline dodgeball, trampoline basketball and arcade games. View demonstrations on ceramics or try your hand at the pottery wheel at The Clay Studio. 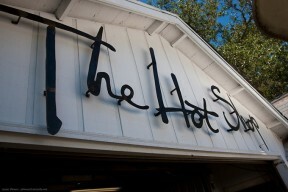 If you prefer the beauty of glass, The Hot Shop has been Alabama’s premier hot glass blowing facility since 2009. At the SEA Quilt Shoppe, learn the art of quilt making. 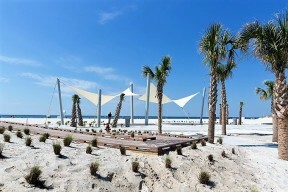 Your masterpieces will always invoke memories of your exploration of the arts along the Gulf Coast. 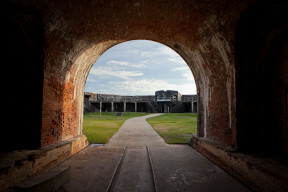 While in the area, travel back to a time when the thundering booms of cannons guarded the waterways and visit historic Fort Morgan, a masonry fort built between 1819 and 1823. The fort's museum details life in the fort and the history of the U.S. Army. Discover 32-miles of some of the finest beaches you will ever see, and one of Alabama’s hidden gems. Whether you come for a romantic weekend getaway, a week-long family vacation, a business conference or a sporting event, relax and put your feet in the sugar-white sand, and take a dip in the salty, turquoise water to cool off. 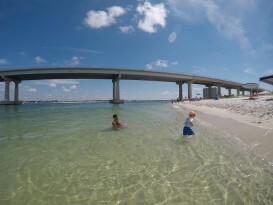 Check out the beaches in Gulf Shores, or the other public beaches on the Alabama Gulf Coast. You will be amazed at the beauty! Hike, bike, fish and view nature at Gulf State Park, where the possibilities are endless. Among the park’s 6,000 acres of pristine coastline and wildlife refuge, you might spy an alligator basking in the sun or a white-tailed deer grazing along the Hugh S. Branyon Backcountry Trail which includes more than 27 miles of paved, scenic paths. With more than 900 acres of freshwater lakes and the second largest pier in the Gulf, the state park is also a fisherman’s paradise. So, grab your lucky fishing pole or rent one at the pier and prepare to catch the biggest fish of your life. Orange Beach is home to one of the largest fishing charter fleets in the Gulf with more than 100 experienced captains ready to take you out on the water to reel in the catch of a lifetime. What makes the fishing so great? With more than 1,000 square miles of reefs just off the coast (the largest artificial reef system in the country), it’s an angler’s paradise. Book your back bay, offshore or spearfishing charter trip today.